Celebrating the 50th anniversary of the Forth Road Bridge, charting the memories of those who built it and those who operated the Forth ferries that ran until the bridge opened. A unique amateur film provides the centrepiece of a documentary celebrating the 50th anniversary of one of Scotland's great landmarks, the Forth Road Bridge. 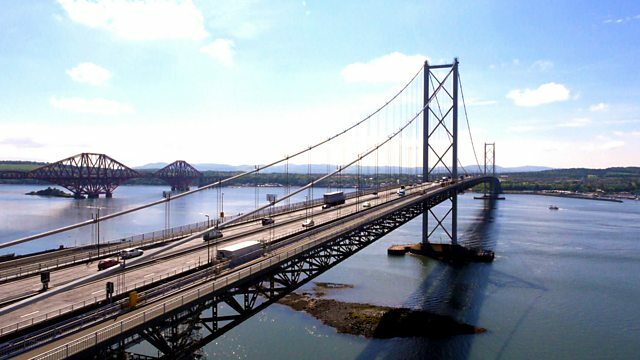 The documentary traces the memories of the people who built the bridge, the biggest of its kind in Europe at the time, as well as those who ran the Forth ferries that stopped running when it opened in 1964.